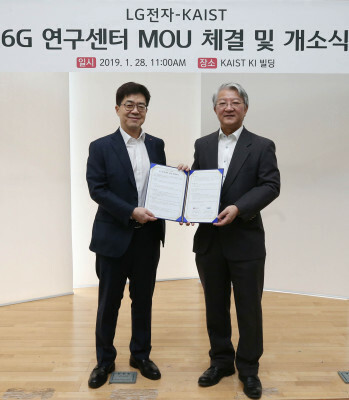 KAIST and LG Electronics are working together to take the lead in next-generation wireless communications and launched the LG-KAIST 6G Research Center on January 28, 2019. KAIST Institute has been focusing on developing a new growth engine for the national economy through interdisciplinary research. In particular, its research work in the field of next-generation wireless communication was listed in the National Research and Development Excellence 100 in 2016 and 2017. LG Electronics has been a global leader in this field for many years. According to TechIPM, the company had the most 4G LTE/LTE-A patents from 2012 to 2016. Also, it first standardized the Cellular Vehicle-to-Everything, which is the core technology for autonomous vehicles.